'IS THERE NO END TO THIS IMPUNITY?!! There is palpable fear for the life of Ikenga Imo Ugochinyere, the National President of the National Youth Council of Nigeria (NYCN) and aide to Senate President, Bukola Saraki following an unwarranted Gestapo-styled raid of his private office at Suit 29b Shakir Plaza by the side of Assemblies of God's church, Area Eleven, Abuja, by armed men said to be operatives of the DSS. Just like the case of the Judges, these security men, impeccable neighbourhood sources say gained access by PULLING DOWN THE OFFICE DOOR WITH SLEDGE HAMMER. This is urging all relevant authorities, civil society organizations and men of goodwill to call for a stop to this reign of fear, terror and impunity as audible sound of physical assault and brutality of occupants of the office have been confirmed. According to sources, the raid and beating started since 2am and is still ongoing. 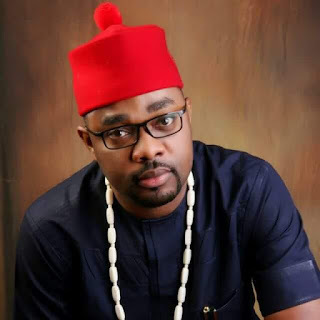 It will be recalled that earlier in the year Ikenga Imo Ugochinyere was detained for over a month by the DSS with no single offence or allegation named or levelled against him by the DSS. It is time to say NO to arbitrary arrests, intimidation and detention of persons that hold contrary views. It calls for urgent intervention.